Sacramento Municipal Utility District (SMUD) opens bidding for winder weather modification program. 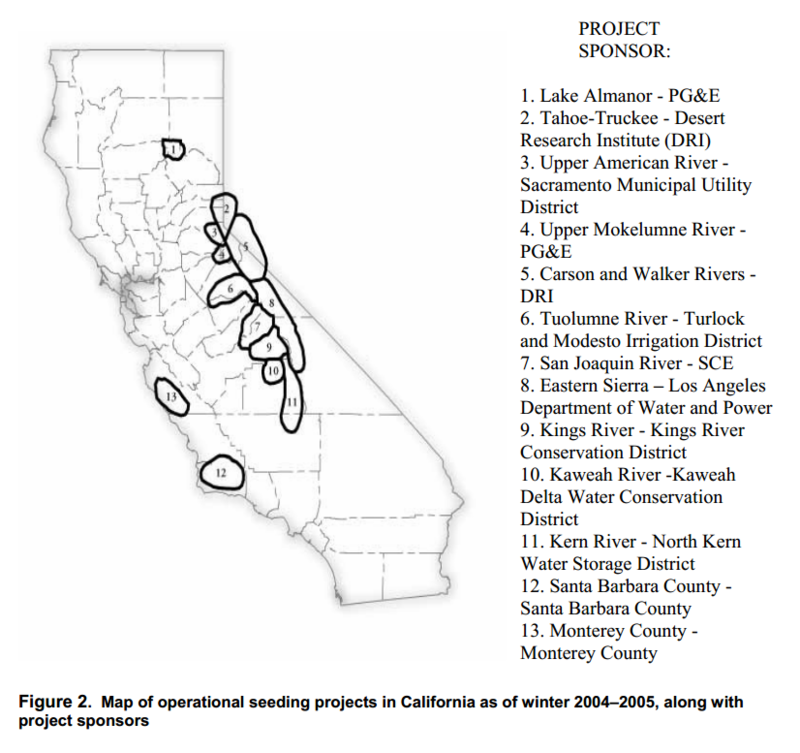 Sacramento Offers $1 million for El Dorado Cloud Seeding Project by Jim Lee is licensed under a Creative Commons Attribution-NonCommercial-ShareAlike 4.0 International License. Based on a work at climateviewer.com/. Permissions beyond the scope of this license may be available at climateviewer.com/terms.